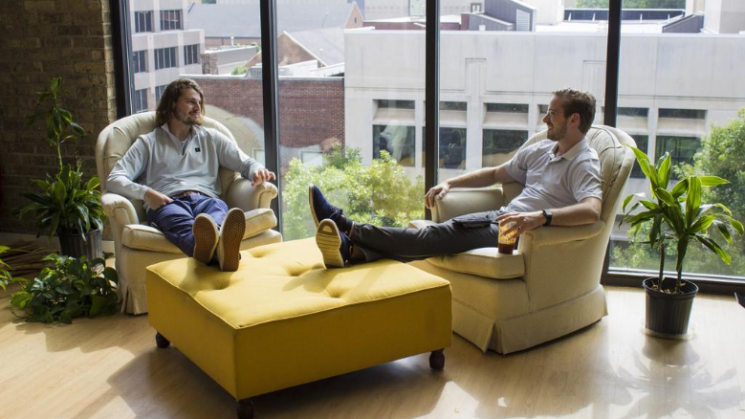 Four-year-old downtown Raleigh subscription service FilterEasy – the brainchild of a pair college friends from N.C. State University – just closed on a $6.9 million round, led by Raleigh’s own venture firm, One Better Ventures. FilterEasy CEO Thad Tarkington says the money is an “opportunity to grow our business,” but it’s also a chance to bring in the expertise of the OBV team – a group of seasoned investors with a history of brand building. “We’re big fans of what they’ve accomplished professionally,” Tarkington says. OBV, founded by a group of Seventh Generation and Burt’s Bees veterans, appears to reciprocate. A securities filing for a fund called OBV-FE closed on $5.1 million in equity earlier this year – specifically related to FilterEasy’s funder, confirms John Replogle, former Seventh Generation CEO and co-founder of OBV. Replogle says it’s the disruptive nature that attracted his team. “There’s a few things in our pipeline related to our customer base and our service that we’re planning to roll out,” he says. It’s not FilterEasy’s first funder. The company has previously closed on more than $11 million in institutional capital, according to securities filings. Nearly $7 million came from a single equity round in 2017. And Tarkington has some advice for entrepreneurs considering their own capital raises. “Make sure everyone’s aligned in the same long-term goals,” he says. Tarkington and Kevin Barry founded the firm in 2014, dropping out of N.C. State to grow their business. The headcount has doubled over the past year, and is now at more than 100 employees. And it continues to hire in Raleigh, Tarkington says.